Isn’t it time you took your automotive service advisor career further? Greet customers and assist with any inquiries they may have. Perform vehicle walk around and documentation of customers concerns to enable the technician to properly diagnose and service the vehicle. Consult with customers on applicable service specials. Prioritize required services and be prepared to provide options upon request. Remain involved with delivery of vehicle to customer upon completion to assure all customer concerns can be addressed. Provide concierge support for all owner inquiries, whether on the phone or in person, to assure the customer does not get mishandled. Spend quality time building relationship with the customer. Know the product well enough to answer characteristics and operational questions regarding the customer’s vehicle. Join our winning automotive service team as an automotive service advisor – apply today! As an Automotive service advisor, you will be experienced and aware of the latest customer service practices and be a persistent problem solver. We have determined some factors that may enable your success as a Service Advisor. 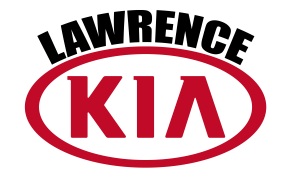 At Lawrence Kia, we want to make our service departments as efficient as our vehicles. And we know that starts with our most valuable resource – our employees. As an Automotive Service Advisor (Automotive Service Writer) you will build strong customer relationships, write repair orders, sell and up sell services for our customers’ vehicles. We’ve got a fast growing facility and are looking to expand our service offerings and expertise. High Customer Satisfaction for both Sales and Service. A Professional and Respectful work environment. Top training processes to properly assist today’s customer.